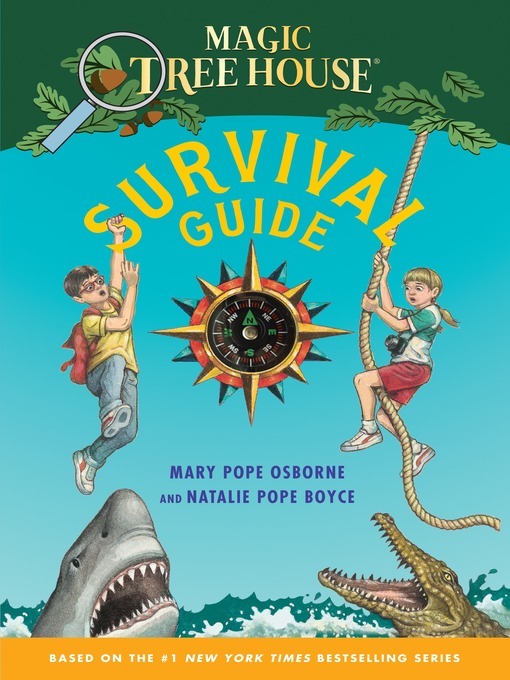 Title Magic tree house survival guide [electronic resource] / Mary Pope Osborne and Natalie Pope Boyce. Contents Wilderness skills -- Lions and tigers and bears -- oh, my! -- Extreme weather -- Disasters -- Incredible survival. Summary Lions and tigers and bears--oh, man! Jack and Annie have survived all kinds of dangers on their adventures in the magic tree house. Find out how you can survive lots of scary situations, including sharks, earthquakes, fires, shipwrecks, and many more! With full-color photographs and illustrations, facts about real-life survival stories, and tips from Jack and Annie, this is a must-have for all survivors of the bestselling Magic Tree House series. Have more fun with Jack and Annie on the Magic Tree House website at MagicTreeHouse.com. Subject JUVENILE NONFICTION / Adventure & Adventurers.